I am a 5'10" 150 pound woman and my goal is to be healthy and fit. At about the same time that I noticed my hips were getting tighter and tighter (I'm structured loosely). It was harder to rotate (mostly adduct, by abduct too) and I also felt the tightness while walking as each leg fully extended behind me. I heard that this can be caused by using an elliptical trainer machine with a stride length that is too short for me. This never occurred to me. I did ask my gym if they could adjust the machines but they have limited knowledge. Is it true? If so, if they are not adjustable, is it contraindicated to go every day and/or to ride for an hour instead of 30 minutes? Is it then even worse to hit the weight machines? These are only exercised I've been able to do without damage to my knees. In fact I'm shocked I can do the pre-programmed workouts on the ellipticals without considerable knee pain. Maybe I shouldn't look to buy a used one for my house? 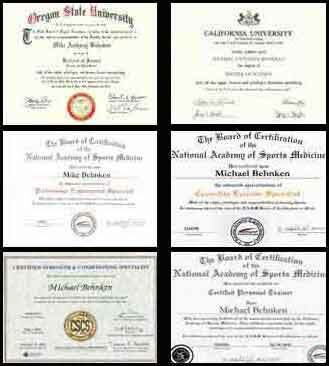 Please read the page about muscle imbalances and posture problems before anything further. There are 2 types of elliptical machines. 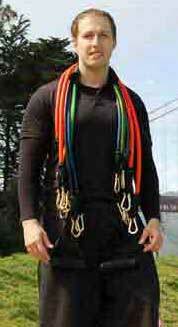 Some have handles for your arms to push and pull while others do not. Some elliptical machines have a ramp (incline) adjustment and some do not. Some have both and some have neither. You did not specify which one your are talking about. 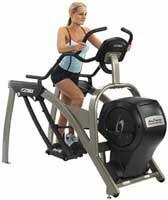 If the elliptical machine has an incline adjustment and you set it at the highest level your will have a longer stride than if it was at a flat level. 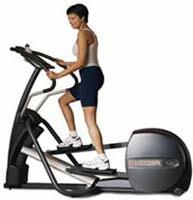 You can also experiment with your foot placement to increase or decrease stride length on most elliptical machines. The issue of your muscles tightening up should not be an issue in your decision as any muscle that tightens up can be statically stretched to lengthen it back out. If your muscles are becoming tight as a result of your activity of the elliptical machine, you should perform static stretching for the effected muscles directly after your cardio training sessions. Your knee problems could be a result of your muscle imbalances in your hips, legs and core also. Thirty minutes per day on the same machine is probably not the best idea for your knees. Our bodies can become accustomed to repetitive motions rather easily and if you do not perform the proper static stretching to lengthen out your problematic tight muscles you will only worsen your existing knee condition. You may want to look into the brand new arch trainers in which your feet travel in an arch instead of an ellipse.